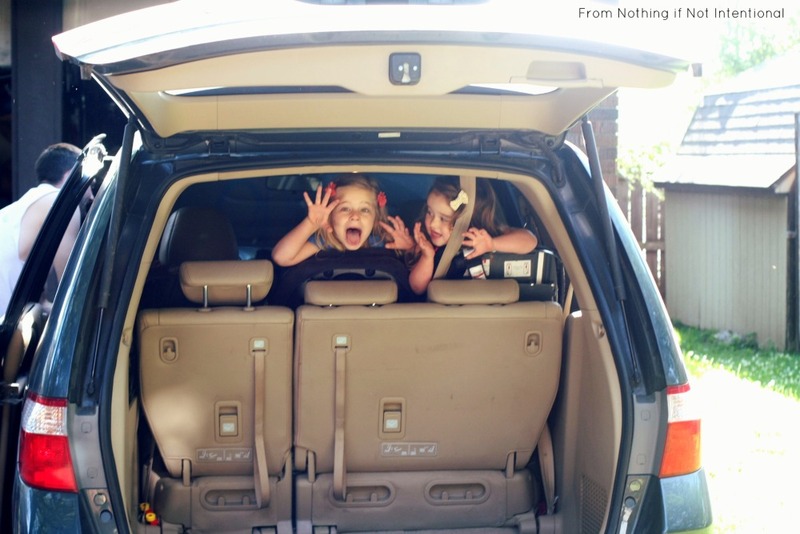 11 Tips to Keep You Sane on Road Trips with Kids–No Screens Required! 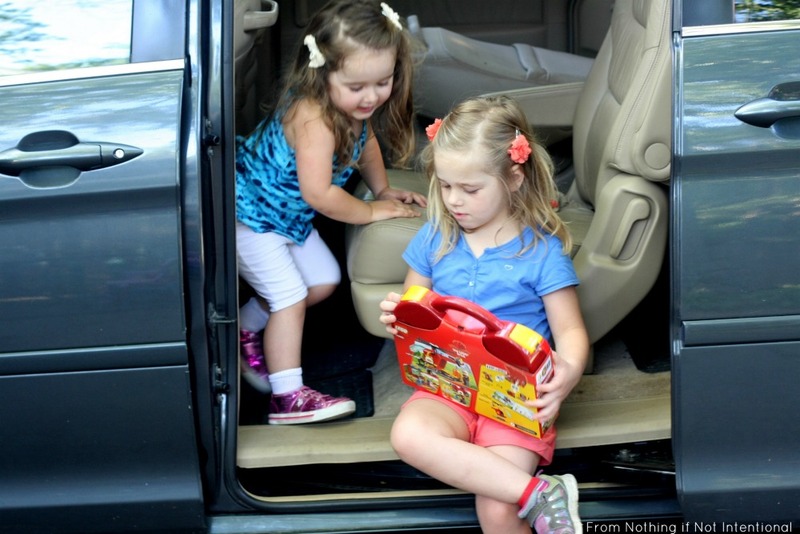 Tablets, phones, and portable DVD players have changed how families take road trips with kids. At our kids’ current ages (we have two two-year-olds and a four-year-old), I can pop a movie in the built-in screen in my super cool mini van, and my kiddos will stare blankly at the screen happily ride for at least an hour. But technology only goes so far. You may be able to distract little ones with screens for a while, but your odds of an awesome trip increase if you have more tricks up your sleeve than just passing back your smart phone or turning on a movie when they start to fuss. Another question worth considering: if you just rely on screens, what happens when technology fails you? This happens. Trust me. I learned the hard way. About six months ago, we took a 10.5 hour trip (each way!) in a fancy (ish) new rental car with our bio girls who were ages two and four. I was banking on the expectation that the big screen in the middle of the dashboard was for DVDs, so we stopped by and rented a movie on the way out of town. Guess what? That wasn’t a DVD player. And our gadgets weren’t prepped and charged for the occasion. So we had to “make do” without screens. 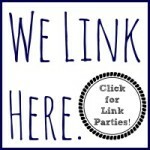 Here’s how we stayed sane! 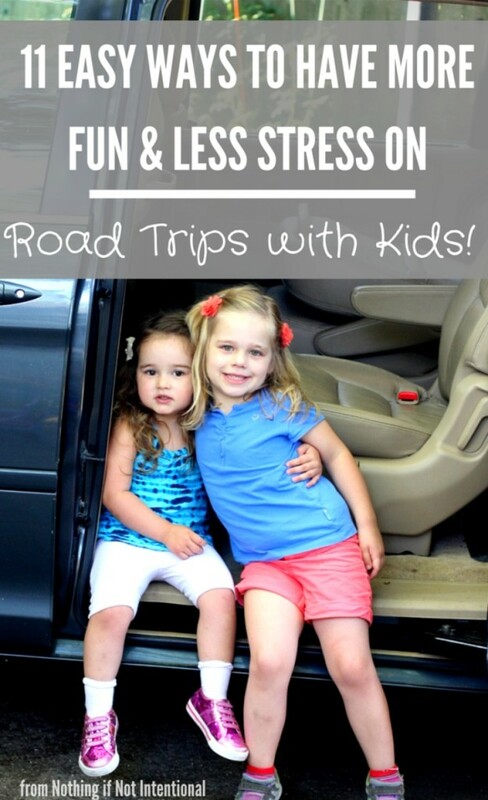 Road Trip with Kids–No Screens Required! 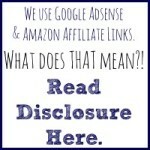 Offer a surprise at set intervals. When the girls started asking “how long until we get there?” about five minutes into the ten-hour trip, I told them to watch the dash and tell me when they saw certain numbers (such as 8:00) on the clock. At that time, they’d get a surprise. It might be a snack, a rest stop, a different cd to listen to, or a special toy. This kept them from asking “are we there yet?” ten thousand times. Use a dollar store cookie sheet as a travel tray. 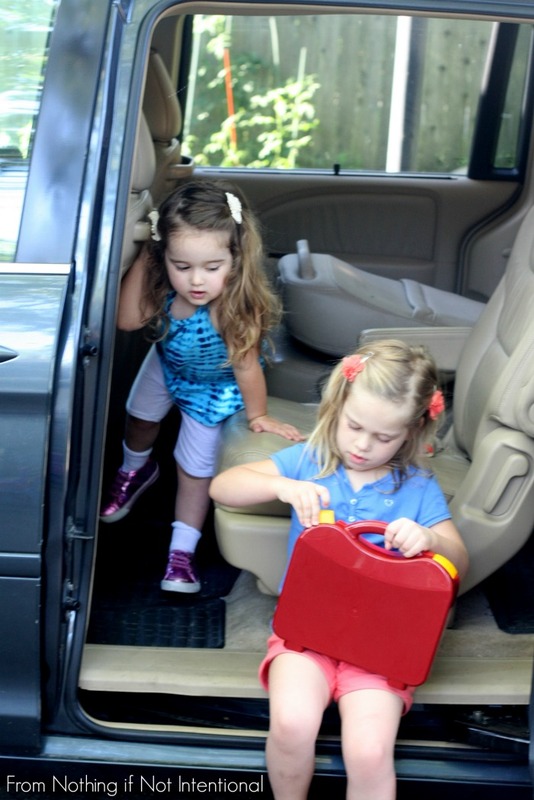 These cheap “travel trays” can hold snacks, crayons, or toys. Don’t forget your child’s current obsession. For us, we always travel with notebooks (for doodling) and baby dolls. Bring new toys. 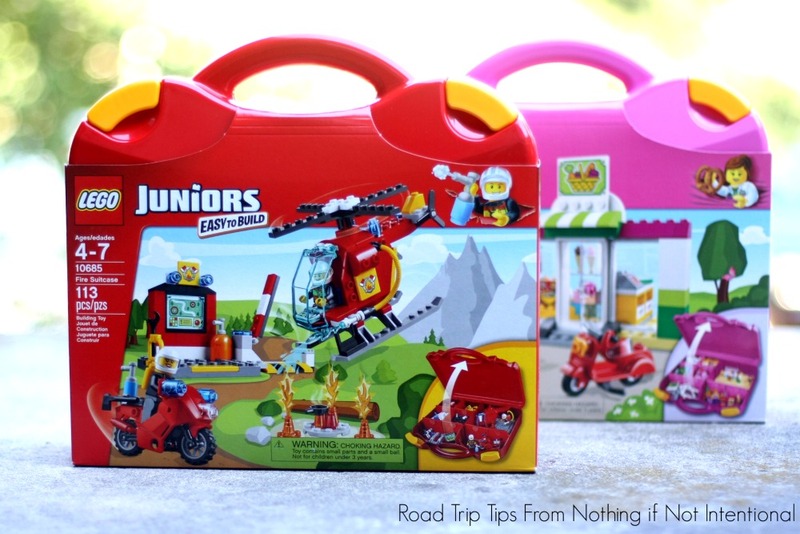 I practically begged LEGO to send my girls LEGO JUNIORS suitcases. And once they arrived, the girls were begging to open them! But we decided not to get them out until our road trip. I wanted these suitcases to be fresh and interesting for our girls when we needed them in the car. My youngest tots are obviously a bit too young for these sets, but they’re perfect for my four-year-old. LEGO® JUNIORS is designed to give children age 4-7 a great first building experience with the LEGO bricsk through these easy-to-build models. I think they’ll also be great for when our toddlers are napping in a hotel room and our oldest daughter needs a quiet, independent activity! Stop at a restaurant with a play place to refuel. When we travel, we look for places like Chick Fil A that give our kids a clean place to burn off energy. Wiggle and dance. Turn on music and encourage your kids to wave their arms, sing, punch the air, stretch, wiggle. They can’t move a ton while they’re strapped safely into their car seats, but sometimes being silly is all that’s needed to change the mood of a car trip. Plan your meal stops near a children’s museum or a park. Our local museum pass allows us to visit hundreds of museums across the country for free, so we try to plan stops near these museums. We pop in for lunch at the museum’s on-site restaurant, play for 30 minutes, and then move on. Pack the audio books. Once kids start to get into audio books, road trips improve drastically. Our oldest daughter started paying attention to “books on tape” (do you remember when they were called that?) around the time she gave up her nap at age four. Because of her influence, our younger daughter (almost three) already has a small appetite for audio books. She likes abridged versions of Winnie the Pooh and short chapter books like The Magic Treehouse. Travel while the kids sleep. My husband and I are far too fussy about our own sleep to drive all night (sad but true), but we LOVE to drive during nap time. Our oldest daughter listens to audio books (which is what she does at home during rest time), and the tots nap. Invest in a few sets of cheap glow sticks. These dollar store trinkets are great distractions for nighttime car rides. Just make sure your tot doesn’t chew on them. Don’t ever forget the snacks. One time we made it through rush hour in Chicago by passing our daughter (18 months at the time) one cheerio to eat at a time. Applesauce pouches, raisins, cheese sticks, pretzels, trail mix–these are all things you’ll always find in my travel bag. There may be crumbs, but my sanity is worth it. Although I was compensated for this post, our love for LEGO is genuine. LEGO® JUNIORS is designed to provide just the right amount of challenge and creative play for young children. Quick start pieces and numbered pre-packed bags enable the sets to be built without the help from Mom or Dad.